Wayne & Thanh welcomed close friends and family to a Wedding Ceremony & Reception full of atmosphere promising a memorable night for all to enjoy. The couple made a fashionable entrance on Red Scooter’s red carpet, arriving by a Hummer Limo, which was just a sneak peek into the night ahead! Guests were lead up the gorgeous red carpet entrance into our stunning ceremony room surrounded by white floral and trays of champagne. Once inside guests were mesmerised with a magic performance and witnessed a champagne bottle appear from thin air that was talk of the night. Moving upstairs to the elegant Hamilton Room, guests dined on the asiette menu of individual dishes that included peking duck, Eye fillet and Morton bay bugs. All guests indulged in the individually prepared dishes along with a massive seafood buffet and pre-dinner canapé service. The carefully prepared fine food and style transpired through the venue’s atmosphere didn’t just stop there. 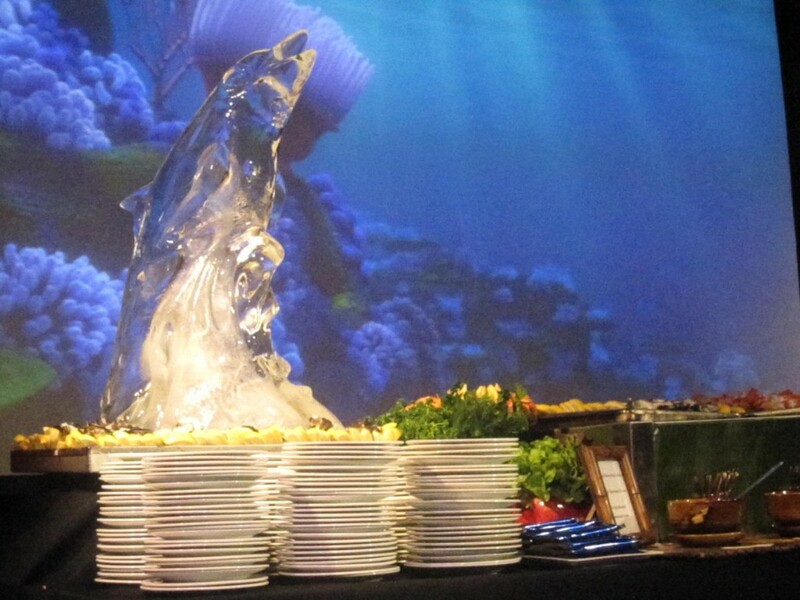 An elegant ice sculpture and chocolate fountain allowed guests to further indulge and escape in the high-styled evening. Although guests would have lasting memories of the night, a Photobooth was brought in so guests could share their night’s experience with those who missed out. The Red Scooter staff enjoy catering for wedding ceremonies and receptions in Melbourne and we pride ourselves on being able to incorporate all your ideas to make sure your function has that lasting impression.